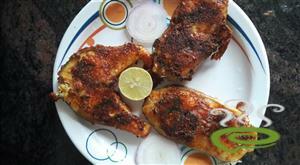 Marinate fish with red chilly powder, turmeric powder, black pepper, salt ad vinegar for 2 - 3 hrs. Half fry them and keep aside. Fry green chillies, garlic and ginger and make it into a dry paste. :- Do not add water. Heat oil/ghee in the kadai. Add whole garam masala (full cinnamon, cardamom, clove etc as per your taste for spice). Add thinly chopped onions and fry it till brown. Add the above dry paste into it. Add tomato paste to the onions & heat it for 5 - 10 mins. Add 2 - 3 drops of lemon in the gravy. Add the fried fish to it & slowly mix the gravy in such a way that fish should be covered under gravy. Wash rice & keep aside for an hr. Add salt in it & then cook it. :- You can add 2 - 3 drops of lemon into it (optional). 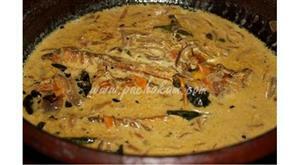 Make layers of fish gravy & rice. Garnish Fish Biryani with coriander leaves, raisins & cashew nuts. 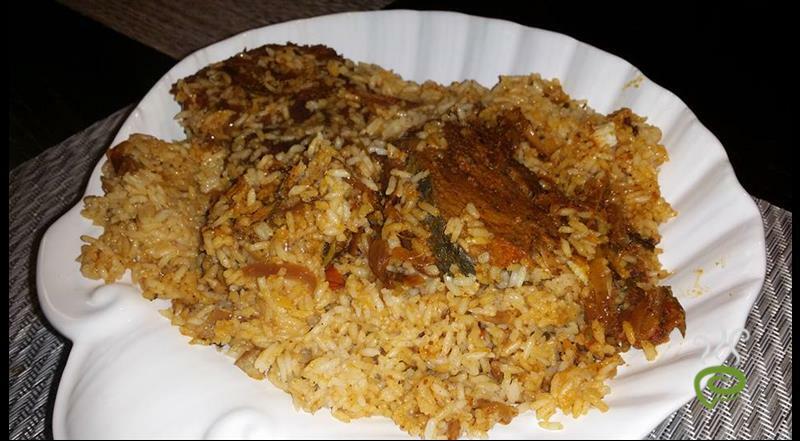 Close the fish biryani with a lid and put it on dum for 15 mts. Keep the fish biryani on light fire for 15 mts. 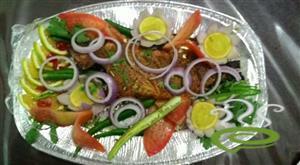 :- Fish Biryani is ready. 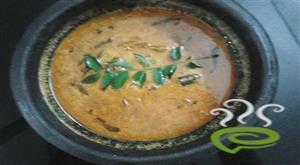 :- Serve Fish Biryani with raita and papad.